ASYCUDA « What Happened to the Portcullis? Nigerian importers operating in all ports in Lagos are facing a tough time in clearing their consignments via the new Nigeria Customs Service (NCS) clearing platform, created to facilitate trade. The new IT platform introduced to aid smooth clearance of cargo at the various port terminals has been given the Service sleepless nights before it was further wrecked by windstorm few days ago. The platform, called Nigeria Customs Integrated System (NCIS)II is an improvement on earlier automation processes such as Automate System for Customs Data (ASYCUDA), ASYCUDA 2.3, ASYCUDA 2.7,ASYCUDA ++, and NICIS I, which is a software specially created to enhance seamless cargo clearance. Under ASYCUDA, agents could only make five declarations in one hour, but under the NICIS II, they can make up to 18 declarations within an hour. Also, under NICIS I, customs agents could view what other control agencies such as National Agency For Food And Drug Administration And Control (NAFDAC), National Drug Law Enforcement Agency (NDLEA), Standards Organisation of Nigeria (SON) are doing with their declarations. Similarly, they could actually interact with these agencies under NICIS II. The new software had earlier been launched at Lilypond Terminal, Port and Terminal Multi-services Limited (PTML) and Tin Can Customs Commands. However its failure has affected cargo clearance at the ports in Lagos, Tin Can Island, and Kirikiri Lighter Terminal (KLT) twice this month during a heavy downpour. The disruption was more pronounced at Lagos Port, which handles the largest imports just two weeks when it migrated to the new platform after its trial at Lilypond, PTML and Tin Can commands. that the recent windstorm also contributed to the teething problems experienced at the command. He explained that the service had not been able to access any work because of the server failure. For the first week, there was no revenue collected. In the second week, when NCS got acclimatised to it, NCS collected N4.3 billon in a day which has now made up for the three days where no revenue was collected. At the moment, the Lagos Port had only one scanning machine and that this was not adequate for the backlog of pending containers to be cleared. It was also confirmed that scanners were not working in some port terminals (Tin Can). Requests for inspection were not being triggered properly resulting inspections not being completed. Issues are also being experienced with debit notes resulting in importers being billed twice. Many users were reluctant about using the new IT platform in the light of all the difficulties. The challenges experienced range from network to various hardware and software technical issues. The NCS’s technical partner, Webb Fontaine is working with the implementation team to ensure normal resumption of customs processing for trade. As Customs and Border regulatory authorities ramp up their commitment to international agreements, such as the WCO Revised Kyoto Convention, SAFE Framework of Standards and the more recent WTO Trade Facilitation Agreement, more countries will offer a single point of entry through which traders, international carriers and logistics providers can access and comply with the resident customs and other government regulatory regimes. The concept of a Single Window is borne out of the fact that traditional import/export and related regulatory requirements pose a barrier to market entry for international goods. There are many derivatives of Single Window in operation globally. Perhaps the best resource for this can be found on the UNECE’s interactive Trade Facilitation Implementation Guide webpage. One can navigate to the case studies page to read up on a country-by-country experience on various trade reforms including Single Window developments. Côte d’Ivoire (Ivory Coast) is one of many African countries who have introduced Single Window as a facilitation measure whereby international trade can interface with Customs in a number of ways. It consists of a web-based trade portal (operated by Webb Fontaine) which interfaces with AsycudaWorld (AW), Côte d’Ivoire Customs’ management system. The portal allows traders to key-in advance import/export information within an electronic document called TVF (Trade Virtual Folder). Customs declarations are then subjected to tariff classification and valuation, thereafter routed for commercial/risk assessment and revenue accounting on AsycudaWorld, or Sydam World as it is known in Côte d’Ivoire. Commercial banks use the TVF within the Single Window to endorse the settlement of each import; the Ministry of Commerce subsequently authorizes the overall transaction through the system. Customs Declaration processing – allowing importers and exporters to electronically file clearances. Manifest operations – used by all carriers to upload their XML manifests and register the same through the trade portal directly into AsycudaWorld. The facility also allows the amendments of waybills (e.g. excess and shortages) and automatically synchronizes the operations with the AW system. The Port Authority IT systems, including the Port of Abidjan and the Port of San Pedro, automatically receive and integrate the manifests submitted by carriers. License module – allows traders to request import/export licenses (regulatory permits) that are later on approved online by the relevant ministries. Each license comprises a list of regulated products, quota allowable amount based on a predefined scheme (gross mass, net mass, FOB, Unit of measurement or unlimited quota). Further developments will include the automatic write-off of license quota by declarations using the Declaration module. The Lesotho Revenue Authority (LRA) has undertaken an extensive Customs Modernisation Programme aimed at simplifying the processes and reducing the costs of ‘doing business’ at the border. Earlier this week, the LRA launched the Lesotho Trade Portal as an introduction of the first portion of these reforms which brings a commitment to transparency for all border users on expectations and procedures. The launch of the portal will be followed by an introduction of simplified border procedures supported by the implementation of modern computerised systems using ASYCUDA World. The LRA has been reorganising its structure the past year aligning it with organisational strategy, and alongside that as a result of the modernisation, there will be extensive restructuring to promote efficiency and professionalism in customs and across the LRA. Staff members are undergoing extensive training to prepare for the introduction of the new systems. To facilitate legitimate trade and enhance compliance LRA will introduce risk based controls to enable legitimate trade to pass more freely through the border posts and following the recent pilot project, there will be a full introduction of a ‘Preferred Trader Scheme’ offering additional facilitation benefits to compliant traders. Through use of modern technology LRA will speed up the inspection process as they will be coordinated and organised from dedicated inspection areas. There will eventually be an introduction of inland clearance to improve service delivery and clearance time. To protect legitimate trade and reduce market distortion, there will be targeted anti-smuggling activities. This will be for deterrence of illicit and illegal goods as well as to protect the nation from prohibited importation of goods. The Lesotho Business Partnership Forum has also voiced its unanimous approval of the Lesotho Trade Portal. It believes this milestone represents a major breakthrough in the relationship between business and government. It reveals a level of transparency in procedures and processes which business can only welcome as a sign of a more constructive and open approach to the management of government affairs. A rather lengthy article published by Third World Network, but entirely relevant to trade practitioners and international supply chain operators who may desire a layman’s understanding of the issues and challenges presented by the WTO’s proposed agreement on ‘Trade Facilitation’. I have omitted a fair amount of the legal and technical references, so if you wish to read the full unabridged version please click here! If you are even more interested in the subject, take a look through the publications available via Google Scholar. 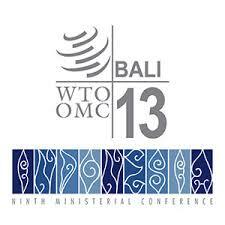 A group of eminent trade experts from developing countries has advised developing countries to be very cautious and not be rushed into an agreement on trade facilitation (TF) by the Bali WTO Ministerial Conference, given the current internal imbalance in the proposed agreement as well as the serious implementation challenges it poses. This recommendation is in a report by the Geneva-based South Centre. The report, “WTO Negotiations on Trade Facilitation: Development Perspectives”, has been drawn up from discussions at two expert group meetings organised by the Centre. Noting that an agreement on trade facilitation has been proposed as an outcome from the Bali WTO Ministerial Conference, the South Centre report said that the trade facilitation negotiations have been focused on measures and policies intended for the simplification, harmonization and standardization of border procedures. “They do not address the priorities for increasing and facilitating trade, particularly exports by developing countries, which would include enhancing infrastructure, building productive and trade capacity, marketing networks, and enhancing inter-regional trade. Nor do they include commitments to strengthen or effectively implement the special and differential treatment (SDT) provisions in the WTO system”. The negotiations process and content thus far indicate that such a trade facilitation agreement would lead mainly to facilitation of imports by the countries that upgrade their facilities under the proposed agreement. Expansion of exports from countries require a different type of facilitation, one involving improved supply capacity and access to developed countries’ markets. Some developing countries, especially those with weaker export capability, have thus expressed concerns that the new obligations, especially if they are legally binding, would result in higher imports without corresponding higher exports, which could have an adverse effect on their trade balance, and which would therefore require other measures or decisions (to be taken in the Bali Ministerial) outside of the trade facilitation issue to improve export opportunities in order to be a counter-balance to this effect. According to the report, another major concern voiced by the developing countries is that the proposed agreement is to be legally binding and subject to the WTO’s dispute settlement system. This makes it even more important that the special and differential treatment provisions for developing countries should be clear, strong and adequate enough. The negotiations have been on two components of the TF: Section I on the obligations and Section II on special and differentiated treatment (SDT), technical and financial assistance and capacity building for developing countries. Most developing countries, and more so the poorer ones, have priorities in public spending, especially health care, education and poverty eradication. Improving trade facilitation has to compete with these other priorities and may not rank as high on the national agenda. If funds have to be diverted to meet the new trade facilitation obligations, it should not be at the expense of the other development priorities. “Therefore, it is important that, if an agreement on trade facilitation were adopted, sufficient financing is provided to developing countries to meet their obligations, so as not to be at the expense of social development,” the report stressed. The report goes on to highlight the main issues of concern for a large number of developing countries on the trade facilitation issue. It said that many developing countries have legitimate concerns that they would have increased net imports, adversely affecting their trade balance. While the trade facilitation agreement is presented as an initiative that reduces trade costs and boosts trade, benefits have been mainly calculated at the aggregate level. Improvements in clearance of goods at the border will increase the inflow of goods. This increase in imports may benefit users of the imported goods, and increase the export opportunities of those countries that have the export capacity. However, the report noted, poorer countries that do not have adequate production and export capability may not be able to take advantage of the opportunities afforded by trade facilitation (in their export markets). Many of the articles under negotiations (such as the articles on ‘authorized operators’ and ‘expedited shipments’) are biased towards bigger traders that can present a financial guarantee or proof of control over the security of their supply chains. There is also the possibility that lower import costs could adversely affect those producing for the local markets. “The draft rules being negotiated, mainly drawn up by major developed countries, do not allow for a balanced outcome of a potential trade facilitation agreement,” the report asserted. New rules under Section I are mandatory with very limited flexibilities that could allow for Members’ discretion in implementation. The special and differential treatment under section II has been progressively diluted during the course of the negotiations. Furthermore, while the obligations in Section I are legally binding, including for developing countries, developed countries are not accepting binding rules on their obligation to provide technical and financial assistance and capacity building to developing countries. The trade facilitation agreement would be a binding agreement and subject to WTO dispute settlement. The negotiating text is based on mandatory language in most provisions, which includes limited and uncertain flexibilities in some parts. Therefore, if a Member fails to fully implement the agreement it might be subject to a dispute case under the WTO DSU (Dispute Settlement Understanding) and to trade sanctions for non-compliance. Trade House of Representative Committee on Customs, has expressed satisfaction with the Nigeria Customs Service (NCS) preparedness to take charge of the destination inspection scheme at the expiration of the six months extension granted the Service Providers by the government. Chairman of the committee, Hon. Sabo Nakudu, who disclosed this during the tour to access the performance of service providers, commended the scanners provided by the service providers as part of the contract with the federal government. Nakudu, however frowned at the Risk Assessment Report (RAR), issued by the service providers which he said is plagued with so much controversies. He noted that the basic reason for the tour, was to confirm the preparedness of the Customs to take over and to ensure that what the service provider delivered, are as expected. According to him, “In most cases, there are instances whereby this risk assessment report are duplicated or un-utilized and instances where a particular consignment being issued with different amount. “Agencies found (to be involved) in this regard by the committee will be probed to ensure that refund is made to the federal government on the percentages gotten from the RAR duplication.” He warned. Nakudu maintained that the service is ready and capable of taking over the scheme from the service providers at the expiration of the extension at the end of the six months period. In his words, ” I am convinced that the Customs are trained and as you can see, the scanners are in order, but our major problem is the area of the risk assessment report, because that is where the revenue comes in from. He also, frowned at the services of connectivity to Web Fontaine, which powers the Automated System of Customs Data (ASYCUDA), over deficiencies in its service delivery, saying that, government pays the firm $6 million monthly, without any commensurate investment and efficiency to show for it. I think Nigeria has made a bold (and correct) decision to adopt responsibility for control over its mandate. Many service providers will disagree as do many of the global audit firms who believe that the field of Customs Audit (including AEO) is best outsourced to their domain. It just shows that when business opportunity in the commercial (private sector) domain is not as easy to come by how the focus turns on what public domain opportunity lies in wake for them. The more service providers/consultants in government, the more consultants are needed to oversee what the original ones are doing! This is the sad situation in South Africa at the moment. Its been some time since I’ve penned an article on the South African Customs Modernisation Programme. Aside from it being the SA Revenue Service’s prerogative to communicate and publish notice of its internal developments and plans, some caution always needs to be exercised observing bureaucratic protocol, ensuring that the official message is forthcoming from SARS. Given the widespread interest in the programme as well as the development of the Interfront [formerly Tatis] integrated customs border management solution (iCBMs) as a wholly owned development of South Africa, I think it not out of place to inform the public interest on this matter. Readership of this blog has an extensive global following and a specific interest in Interfront developments. Unlike ASYCUDA, Sofix, e-Biscus, and a host of other integrated Customs-tailored business solution offerings, Interfront’s solution for SARS will not include a client user frontend. In other words, the Interfront system (iCBMs) will essentially drive declaration backend processing. This comprises a fully integrated declaration validation and processing engine, supported by a sophisticated tariff engine and duty calculator; the latter offering future web-based services for customs users. In order to compliment the SARS corporate and standardised user interface approach, the iCBMs interfaces with SARS’s revenue accounting, trader registration, risk management, and case management workflow systems. Not only does this leverage cost savings and efficiencies, but ensures a unified ‘workspace’ for all of SARS employees. Much of the Interfront technology is therefore hidden to the customs user, with traders experiencing an identical interface with SARS Customs, as it does today. From the outset of the Customs Modernisation Programme (July 2010), the approach has followed pragmatic migration of customs electronic clearance processing – across its 30 odd legacy systems – towards an integrated clearance process that could mimic the functionality featured on the new iCBMs. The modern technology and scalability of Interfront offers the ability and agility to enhance service levels and efficiencies to another level. At the same time, operational policies and procedures have been modernised with the aim and intent of meeting the requirements contained in Customs new Control and Duty Bills. Much of the ‘change’ experienced by both customs officers and the trade over the last 2 years has prepared the country for the eventual migration to the new system. These have been significant, and at times painful changes, not without anxiety and apprehension. Over the last 6 months an even more painstaking and taxing effort has been expended by the Customs Modernisation Team, Interfront and other service providers in addressing a seamless harmonisation and switchover of customs business from disparate legacy systems to a new customs technology platform. The “Parallel Run” has witnessed the daily comparison of customs clearance data between the old and new systems, identification and logging of disparities (bugs), modification of the two environments to ensure the same result is achieved. This has not been an easy and simple process, as any country having undergone a system switchover can attest to. This month, February 2013, service providers to the customs industry are readying their resources to commence user testing. This implies that service providers (computer bureaus) will engage their clients to prepare test cases for submission to customs to test the new Interfront process. Given that Customs legacy systems and Interfront have been synchronised to a high level of compatibility, the process for traders should not reveal much difference to what they have experienced over the period of modernisation over the last 2 years. One area of note will be the structure and content of Customs Response messages. Traders will have to familiarise themselves and test their interpretation of these messages to ensure they perform or respond appropriately to the instructions. In terms of compliance and compatibility with international developments, the new iCBMs is engineered on the WCO Data Model. All relevant simplification processes as exemplified in the Revise Kyoto Convention are likewise factored into its design, although not all of these will be immediately available with the initial rollout. Introduction of the new Customs Control and Duty Acts will require these principles to be fully functional and operational, however. The WCO Data Model is the pivotal design component around which most of the new system’s business and validation rules are centred. This in itself is a major achievement as it bodes well for all future ‘cross border’, customs-2-customs connectivity initiatives. In this regard SARS is well advanced in bilateral and multilateral projects with key trading partners, for example IBSA (cross-global trilateral initiative), and in Africa, we are working with SACU, SADC, COMESA and the EAC to bring about regional customs connectivity. On a bilateral basis, initiatives with Swaziland, Mozambique and Zimbabwe are developing nicely. A significant contributor to cross border/cross global customs connectivity is undoubtedly the excellent work brought about by the dedicated members of the WCO’s Globally Networked Customs adhoc workgroup. In June last year, the WCOs policy Commission unanimously endorsed the GNC architecture and Utility Block approach. African customs connectivity efforts have likewise adopted this model which ensures harmonisation and uniformity in approach, legal dispensation, data exchange, risk management and procedure. The WCO moreover plays a overseeing role in many of these GNC and capacity building initiatives across the globe – this assists greatly in sharing and learning of experiences. I would think that the above should be sufficient to wet the appetites of customs practitioners, traders, ICT technocrats, and perhaps even legislators and bureaucrats on developments in South Africa. Subsequent to the launch of Interfront SARS will make its ideas and strategy relating to forthcoming initiatives known to trade and the business community. A Year of Innovation? Yes, and hopefully a happy tale that will bode well for the South African trade and supply chain logistics community, and some good fortune for Interfront in its business development in the region and beyond! 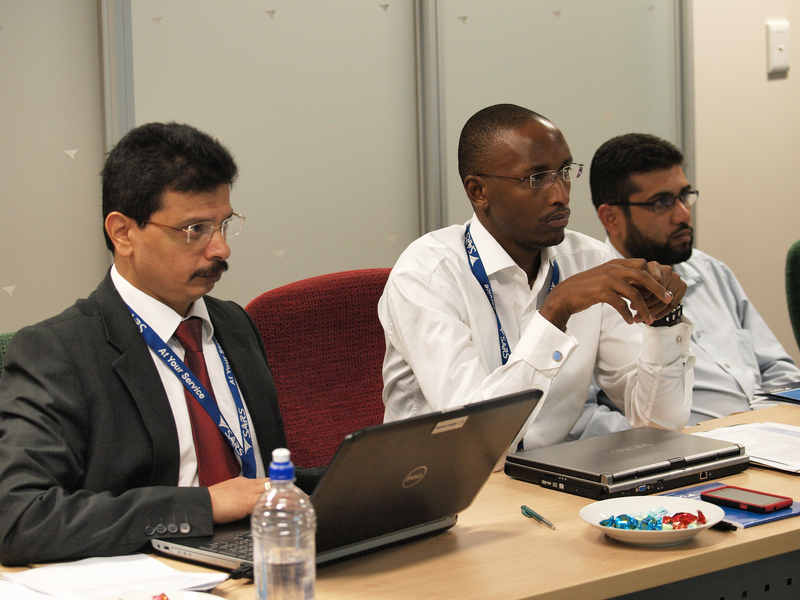 The first live demonstration of an end-to-end customs connectivity solution was successfully completed in Windhoek, Namibia on December 12, 2012. 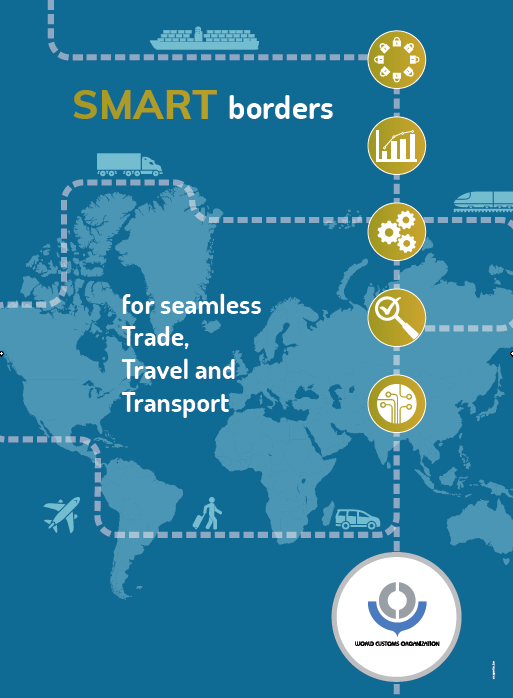 Customs Connectivity enables customs administrations from different countries to share information seamlessly and instantly across borders: reducing processing time and improving access to reliable, real-time trade statistics. The demonstration was witnessed by the Commissioners of Botswana (BURS) and Namibia Customs (NRA), senior managers and operational teams. The demonstration involved moving information from an ASYCUDA++ entry in Botswana via the Cloud-based User Portal to an ASYCUDA++ entry in Namibia, and vice-versa from Namibia to Botswana. It demonstrated how clearing agents/traders would manage the flow of their information via the secure online User Portal. The demonstration marked a “watershed moment” in turning Customs Connectivity into reality. The next steps for the pilot project include full system testing and documentation before end-user training commences. Full implementation is scheduled to take place during the first half of 2013. Request – Perhaps some of the TKC clearing agents, NRA and BURS customs staff would like to comment on their experience thus far? Forgive my exuberance and national pride, for one minute. After some years of intense re-organisation and strategization a new dynamic organization is set to spearhead ICT development in the Customs and Border Management industry. Many will know it by its previous name TATIS or TATIScms. The Cape Town based IT outfit is responsible for the intuitive customs software solution which currently operates in Luxembourg Customs. Let it be known that this is one tough space to operate and succeed in. Africa, in particular, has suffered the stigma of UN and World Bank ‘freebies’ by way of customs automated solutions – designed and developed by the west, on western philosophy with little concern for the longer term sustainability and development on the African continent. Before the emergence of commercial Windows-based software, African states (and most developing countries for that matter) had little option but to adopt ASYCUDA. The French colonies in the main sought franco-developed SOFIX. Bull Computers were particularly strong in this space and received great support from the French government in their ventures. Just as the ‘power’ of the west is waning under financial and political turmoil, so developmental states and economies are looking to their own resources and expertise to fulfil their needs and destinies. A similar phenomenon occurred in the border and port control security space during the first decade of the 21st century, where the Chinese have virtually stolen international market share in NII (Cargo scanning) equipment. Therefore the emergence of InterFront on the Customs ICT scene is both unique and timely. For more details on the new company and its partners, solutions and expertise please visit their website: http://www.interfront.co.za. Also read their corporate and product profile brochure – click here! This week, Interfront are show-casing their solution and expertise at the WCO‘s 2012 ICT Conference in Tallinn, Estonia. With the international customs and border management relatively young and seeking stability, Interfront have a great opportunity to develop a regional and international footprint. SARS, in particular, looks forward to its new integrated customs solution; setting a new bench mark in global customs processing. FTW Online recently published an update on recent developments occurring along the Trans-Kalahari Corridor (TKC). It suggests that customs systems throughout the SADC region could soon be talking to each other through the Internet, if the pilot project between Namibia and Botswana is successful. During July 2011, the Southern African Trade Hub unveiled a plan to initiate a pilot programme to link the ASYCUDA systems of Namibia and Botswana via Microsoft’s Cloud Computing technology. Both Microsoft and USAID are partners in this initiative seeking to enable the two customs systems to communicate with each other through a secure portal. View the keynote presentation at the 2011 World Customs Organization IT Conference and Exhibition – Seattle, Ranga Munyaradzi (SATH) and Namibian Customs Commissioner, Bevan Simataa, were invited on-stage to elaborate on this initiative – click here! According to Oscar Muyatwa, executive director of the Trans-Kalahari Corridor Secretariat, the initiative holds the prospect of opening up African opportunities in the United States for exports, as it is being supported by USAID as part of the African Growth and Opportunities Act (AGOA). Both Namibian and Botswana Customs officials are to be trained in Cape Town over the next few months. The TKC Secretariat believe this initiative will bring about its vision of a ‘automated corridor’. Further ahead the TKCs envisages the establishment of One Stop Border Posts (OSBPs) to reduce border dwell and transit times. Muyatwa says ‘The ‘cloud’ will maintain vast volumes of transit data that will assist future planning along the corridor as well as revenue and budgeting forecasts’. Source: FTW Online. Comment: lest there be any confusion amongst Customs users, traders and carriers, the concept of cloud computing in the Customs sphere is very ‘clouded’ at this point. What needs to be considered is the ‘ownership’, rights to ‘access’ and ‘integrity of use’ of such information. Furthermore, as this is a first-of-its-kind initiative (in Africa at least); it would be highly recommended that the participants and developers ‘share’ details of the approach with other SACU members in order to better understand the programme. Up to this point it is very unclear how the developer has gone about the integration of customs information, for instance, since ‘users’ have not been fully involved in the scope, proof-of-concept or design of the system. On the occasion of International Customs Day, in January earlier this year, the World Customs Organisation dedicated 2012 as the year “Connectivity”, which encapsulates people connectivity, institutional connectivity and information connectivity among the members of the global Customs community. 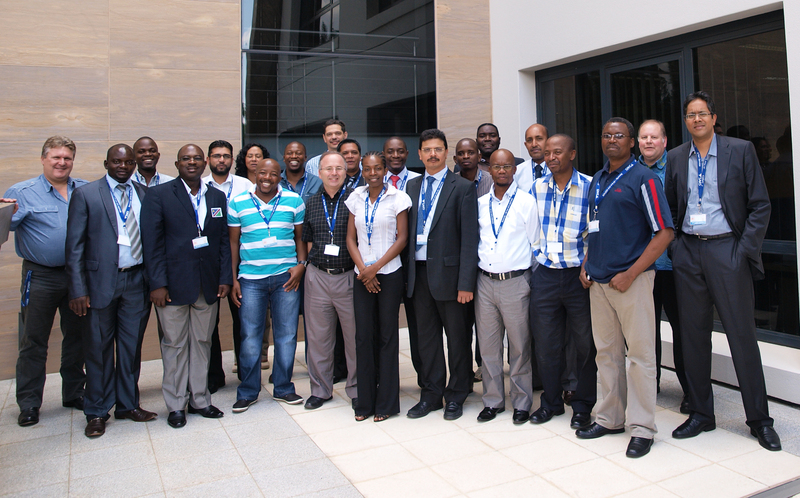 Over the last week and a half delegates from the WCO, SACU, UNCTAD, SADC and COMESA have been hosted at SARS, Pretoria to discuss and deliberate over an approach to implement ‘IT connectivity’ within the Southern African region. During the first week representatives from UNCTAD, SACU and SARS were briefed on important developments at the WCO on IT-Interconnectivity and Information Exchange. We were privileged to have Mr. Satya Prasad Sahu, Technical officer from the WCO – a leading expert in all matters of ICT in international customs matters – present the developments towards finalisation of a future international customs standard called “Globally Networked Customs” (GNC). It entails a structured approach that will enable customs authorities to formulate and document bilateral or regional ‘standards’ on a variety of Customs-to-Customs topics, for instance Authorised Economic Operators, Cross Border Information Exchange, Risk Management, etc. A representative from UNCTAD presented a synopsis of the proposed ‘cloud computing solution’ which the Trans Kalahari Corridor (TKC) plans to pilot between Namibia and Botswana along the TKC route in the next few months. 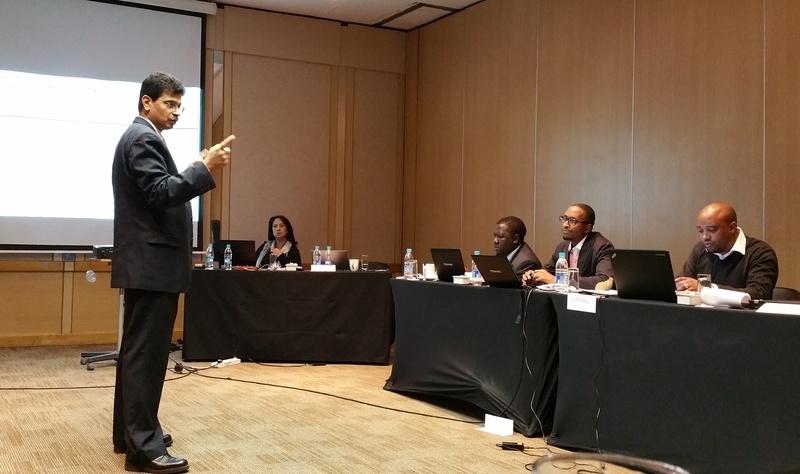 During the course of this week, delegates , under the guidance of Satya, prepared a proposed approach for information exchange between members of the Southern African Customs Region. This document is based on the GNC Utility Block structure (defined by the ad Hoc Committee on Globally Networked Customs at the WCO) and served as the basis for discussion for Week 2. Week 2 saw the arrival of customs and IT representatives from COMESA, SADC, UNCTAD, SACU as well as a delegation from Mozambique Customs. Mr. Sahu was invited to chair the session, given his vast experience on the subject matter as well as international experience in national and regional customs ICT programmes. Delegates were treated to various lectures on the GNC, a comprehensive overview of developments on ASYCUDA (Customs solution developed by UNCTAD), various updates from within the customs region – Botswana, Namibia, Lesotho, Swaziland, Mozambique and SARS. Beyers Theron informed delegates of ongoing developments of the SARS Customs Modernisation Programme as well as key implications for neighbouring countries. SARS presented a live demonstration of SARS’ Service Manager solution, navigating through all the functionality now available to SARS Customs officials. Of significant interest to all was the new iPod inspection tool. This technology is given prominent feature in the latest edition of WCO News. A large portion of the week was, however, spent on deliberating the proposed scope and content of the draft Utility Block on Information Exchange in the Southern African Region. Significant progress was been made to attain first, a common understanding of the scope as well as the implications this has for participating countries. Delegates will return home with a product with which to create awareness and solicit support in their respective countries. Over the next few months SARS will engage both SACU and SADCOM (combined SADC and COMESA trading blocs) to establish firm commitments for information exchange with customs administrations in these regions. This conference is significant for SARS and South Africa as a whole as it provides a uniform, standardised and practical approach for engagement with other international trading partners. To view photographs of the conference please click here! What is clear in regard to modern day business is the fact that ‘harmonisation’ in the international supply chain is essentially built around ‘data’. E-commerce has been around for decades, plagued by incompatibilities in messaging standards, and computer software, network and hardware architecture. However, one of the key inhibitors has been organisations and administrations having to adhere to domestic ‘dated’ legislation and so-called standard operating procedures – seemingly difficult to change, and worst of all suggesting that law has to adapt! A lot has had to do with the means of information presentation (format) and conveyance (physical versus electronic) rather than the actual information itself. Standards such as the UN Layout key sought to standardise or align international trade and customs documentation with the view to simplifying cross-border trade and regulatory requirements. In other words, each international trade document being a logical ‘copy and augmentation’ of a preceding document. This argument is still indeed valid. The generally accepted principle of Customs Administrations is to maximise its leverage of latent information in the supply chain and augment this with national (domestic) regulatory requirements – within a structured format. The Single Administrative Document (SAD) was itself borne out of this need. The layout found acceptance with UNCTAD’s ASYCUDA which used it as a marketing tool (in the 1990’s) in promoting ‘What-You-See-Is-What-You-Get’ (WYSIWYG). It certainly provided a compelling argument for under-developed countries seeking first-time customs automation. Yet, the promise of compatibility with other systems and neighbouring customs administrations has not lived up to this promise. Simultaneous to document harmonisation, we find development of the Customs data model, initially the work of the Group of 7 (G7) nations at the United Nations. Its mandate was to simplify and standardize Customs procedures Customs procedures. In 2002, the WCO took over this responsibility and after further refinement the G7 version became version 1 of the WCO Customs Data Model. Once more a logical progression lead to the inclusion of security and other government regulatory requirements. This has culminated in the recent release of WCO Data Model 3. Take note the word “Customs” is missing from the title, indicating that Version 3 gives effect to its culminating EDI message standard – Government Cross Border Regulatory (GOVCBR) message – an all inclusive message standard which proposes to accommodate ALL government regulatory reporting requirements. Promoting safe and secure borders by establishing a common platform for regulatory data exchange enabling early sharing of information. Helping co-operating export and import Customs to offer authorized traders end end-to to- end premium procedures and simple integrated treatment of the total transaction. Elimination redundant and repetitive data submitted by the carrier and the importer. Reducing the amount of data required to be presented at time of release. Undertaking such development is no simple matter, although a decision in this direction is a no brainer! Over a decade’s work in the EDI space in South Africa is certainly not lost. Most of the trade’s electronic goods declaration and cargo reporting requirements remain intact, all be they require re-alignment to meet Data Model 3 standard. Over and above this, the matter of government regulatory requirements (permits, certificates, prohibitions and restrictions, letters of authority, etc.) will require more ‘political will’ to ensure that all authorities administering regulations over the importation and exportation of goods are brought into the ‘electronic space’. Some traction is already evident here largely thanks to ITAC and SA Reserve Bank willingness and capability to collaborate. In time all remaining authorities will be brought on board to ensure a true ‘paperless’ clearance process. So, I digress somewhat from the discussion on the SAD. However, the bottom line for all customs and border authorities, traders and intermediaries is that ‘harmonisation’ of the supply chain operation follows the principal and secondary data required to administer ALL controls via a process of risk assessment, to facilitate release including any intervention required to ensure the compliance of import and export goods. As such even legislative requirements need to enable ‘harmonisation’ to occur otherwise we end up with a non-tariff barrier, uncertainty in decision-making, and a business community unable to capitalise on regional and international market opportunities. Positively, the draft SA Customs Control Bill makes abundant reference to reporting – of the electronic kind. In Part 3, I will discuss regional ‘integration’ and the desire for end-to-end transit clearance harmonisation. We all suffer a little nostalgia at one or other point in our lives. Those die-hard legacy officials – the kind who have more than 20 years service – will most definitely have suffered, recoiled, and even repelled mass change which has occurred in the last 10-15 years in South Africa. 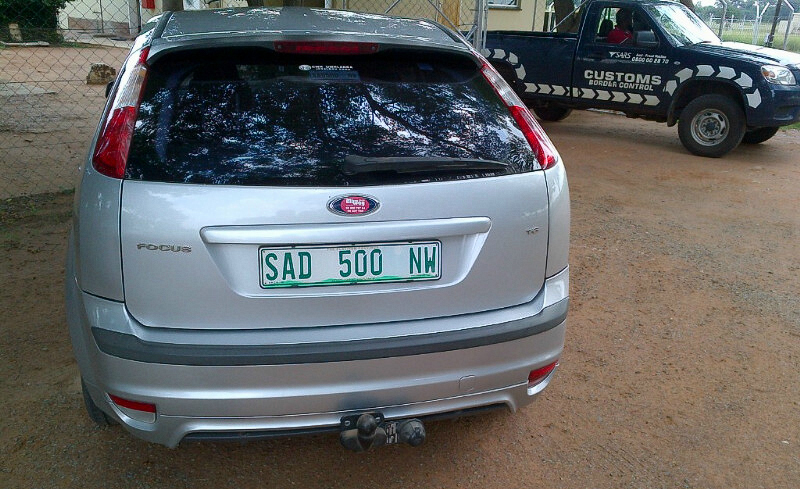 In the mid-2000’s the advent and replacement of the tried and tested DA500/600 series customs declaration forms by the Single Administrative Document – better known as the SAD – was unpopular to most customs officers although it was possibly welcomed by SACU cross-border traders. A political coup had been won by some BLNS states compelling South Africa to harmonise its declaration requirements with those of fellow members, especially those operating ASYCUDA. 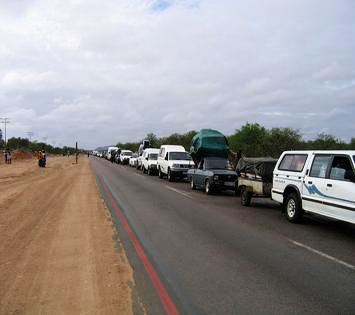 At the time, SARS saw this compromise necessary to bring about alignment with Namibia and Botswana to facilitate the implementation of a new customs clearance dispensation for the Trans Kalahari Corridor (TKC). The SAD is almost universally accepted by virtue of its design according to the UN Layout Key. However, why the fuss. A form is a form. Allied industry in RSA were used to the three decade old DA500/600 declaration forms which were designed infinitely better and more logical than the SAD. None-the-less, South Africans are adaptable and accommodating to change. Following on from my recent post “SACU now a liability” it is now the SAD’s turn to stare death in the face. As it turns out, through wave upon wave of technological advances, we no longer need the SAD. At least in its paper form. In SARS case it no longer needs the SAD – period. A newer derivative (strangely not too dissimilar to the DA500/600) has now gained favour. It is known as the Customs Declaration 1 (Form CD1). However, unlike the DA and SAD forms, the CD1 will most likely never be required in printed format owing to SARS Customs preference for digitized information. Needless to say, if nothing else, the CD1 will provide a graphic representation of the EDI CUSDEC data for the customs officer. Next time, I’ll discuss the rationale behind ‘customs harmonisation’ and its non-dependency on document format. I feel for the die-hard SAD fan!